When a Customer/dear friend shares a cake recipe and then brings you the cake..well that is just sweet! 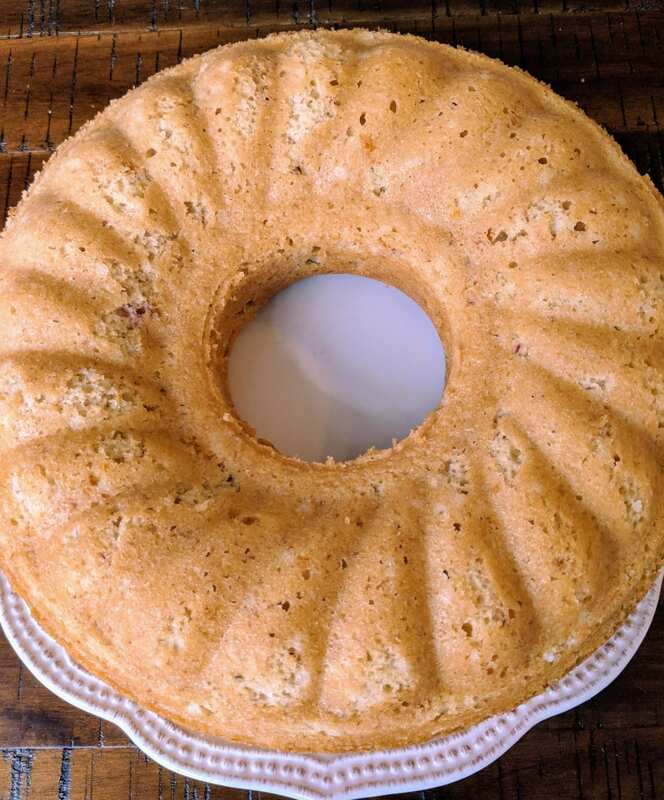 No bundt about it- it is a delicious recipe that you will want to make over and over. For brunch, tea or dessert. Traci gives the credit to this recipe to Athena Calderone, from her book Cook Beautiful. Blood Oranges, bourbon, yogurt and a healthy dose of evoo, create a luxurious and moist cake. I chose to use Marquis de Valdueza estate bottled extra virgin oil for it’s mild, more delicate flavor and notes of almond. Position a rack in the middle of the oven and preheat the oven to 350°F (175 ̊C). Generously grease a 12-cup (2.8-L) Bundt pan with butter and dust it with flour, tapping out the excess. Set aside. Using a Microplane, grate the zest of 3 of the oranges. Squeeze 1⁄2 cup (120 ml) juice, using the fourth orange if necessary. Combine the orange juice with the lemon juice. In a small bowl, whisk together the flour, almond meal, baking powder, baking soda, and salt until just combined. In the bowl of a stand mixer fitted with the paddle attachment, beat the eggs on medium-high speed until they’re frothy and evenly colored. Slowly add the granulated sugar, beating until the mixture is thick and fluffy, about 3 minutes. Reduce the mixer speed to low and alternately add the flour mixture and oil, beginning and ending with the flour mixture and mixing just until each addition is incorporated. Scrape down the sides of the bowl if necessary. With the mixer still on low speed, add the yogurt, bourbon, orange and lemon juices, and orange zest, mixing just until everything is incorporated. Pour the batter into the prepared pan, leaving about 1 inch (2.5 cm) between the batter and the top of the pan. Bake the cake for 35 to 40 minutes, or until a knife or cake tester inserted into the center comes out with a few crumbs still clinging to it. Transfer the cake to a wire rack and allow it to cool in the pan for 15 minutes before unmolding and cooling it completely on the rack. Over a medium bowl, sift the confectioners’ sugar through a sieve to remove any lumps. Whisk in the orange and lemon juices, bourbon, and bitters. Stir in the zest. If the glaze is too runny, you can add more sugar; if it’s too thick, add more juice. When the cake has cooled completely and is still sitting on the rack, drizzle it generously with the glaze and then transfer it to a serving platter.